So Jeremy Renner may not be getting any love from the folks at Marvel right now, but in the new comedy Tag he is the man. The film is loosely based on the true story of a group of friends from Spokane who have been playing the same game of tag for over 20 years, and if you look up some of their antics you'll see that they've pulled some crazy stunts to keep the game going, and it looks like a bunch of them have found their way into the movie. 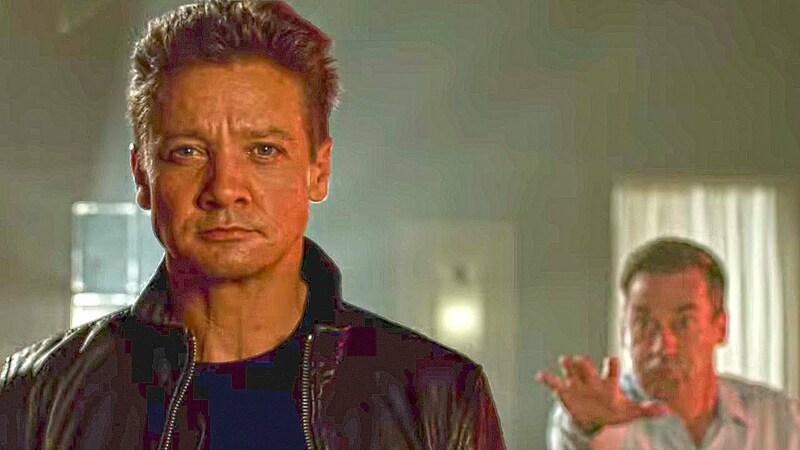 Renner's gaming buddies include Jon Hamm, Jake Johnson, Hannibal Buress, Ed Helms, and Isla Fisher, with Rashida Jones, Annabelle Wallis, and Brian Dennehy co-starring. It looks like Renner's character has gone 30 years without ever being "It", and his boys are going to make sure that changes. There's one scene in this trailer that made me snort water and it's when Helms is tagged while grieving at a funeral, and y'know what, it seems like that particular moment was ripped from reality. Directed by Jeff Tomsic, Tag opens June 15th.